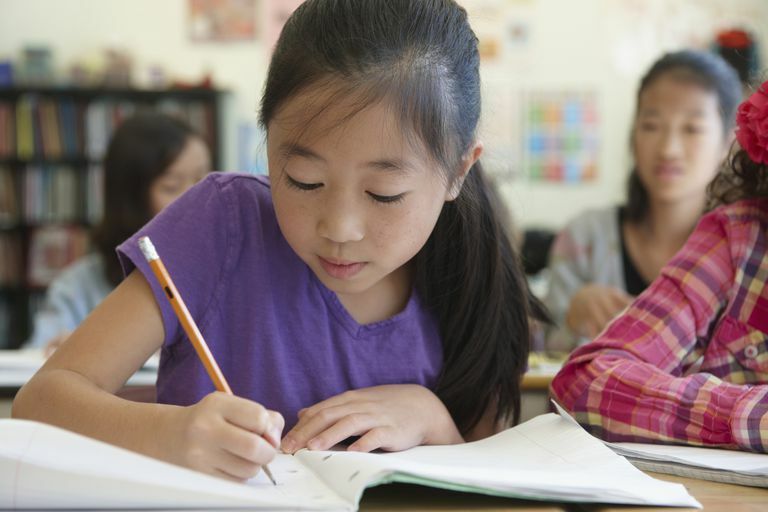 The elementary school years are packed with learning, as kids blossom in subjects ranging from reading, writing, math, science, and more, all as they become confident students who become comfortable in a classroom. In grade school, children will also develop important social and emotional skills that will carry them into adulthood, such as how to make friends and cooperate with others. From kindergarten to fifth grade, here's a grade-by-grade look at what your child will learn each year. Here's what parents will want to know about reading, math, developmental milestones and other important issues pertaining to your child's grade. In addition to being a big year for social learning, kindergarten is a year to get used to the routine of school, to learn to follow rules and to build basic math, reading and writing skills. For many kids, 1st grade is a year to feel "big." First grade teachers use that bigness as a way to challenge students to learn bigger things this year. Reading takes off, math becomes more complex and science and social studies explore beyond kids' inner circles. What Do Kids Learn in 1st Grade? In 2nd grade, your child's attention span is increasing, which means he's able to learn more difficult concepts in one setting and apply them to other situations. He'll learn advanced addition and subtraction and work hard to become a fluent reader. What Do Kids Learn in 2nd Grade? 3rd grade is a year of great academic growth. Your child will move more from being a concrete thinker to becoming more open to the abstract, will learn multiplication and will begin writing in organized paragraphs. Just as the formation of cliques begins to increase and complicate your child's social life, the academic work becomes more challenging, too. Your child will work on long-term projects, being using the scientific process and explore more complex branches of mathematics. 5th grade is a year for putting all the academic pieces together, your child will be expected to take more responsibility for organization and long-term planning. He'll begin to learn algebraic math, write book reports and explore citizenship in depth. What Do Kids Learn in 5th Grade?